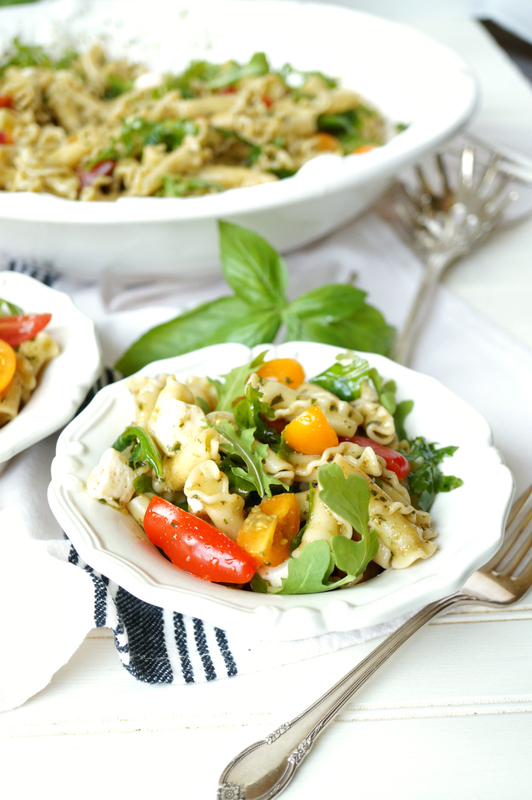 Say hello to your new favorite summer dinner! 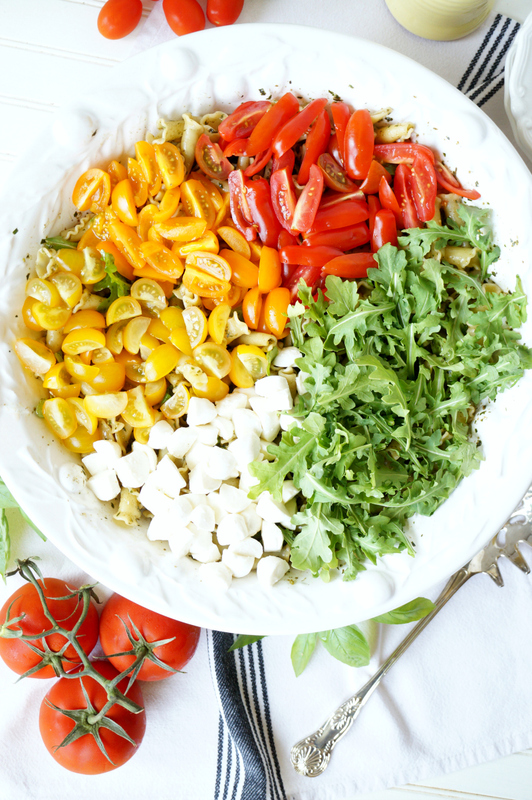 This Tomato & Mozzarella Pesto Pasta Salad is super simple, requires minimal cooking, and is ready in just minutes! 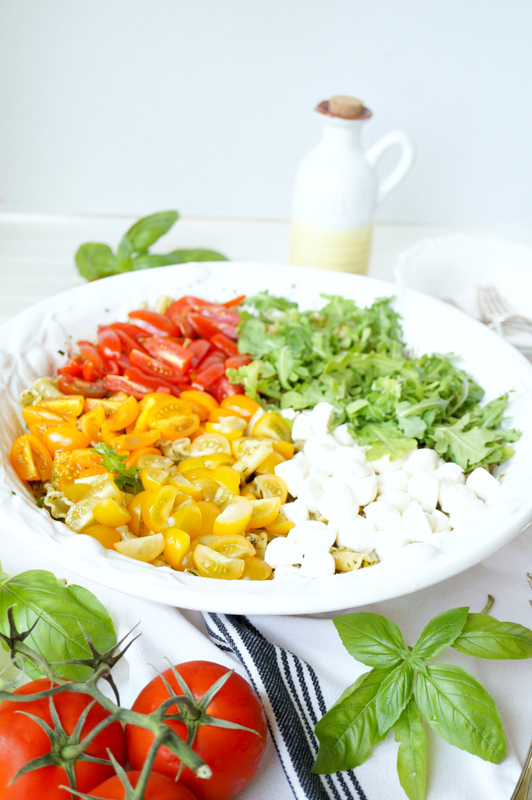 I think my love affair with baby heirloom tomatoes has been well-documented all summer, and today I’ve got another recipe for you! 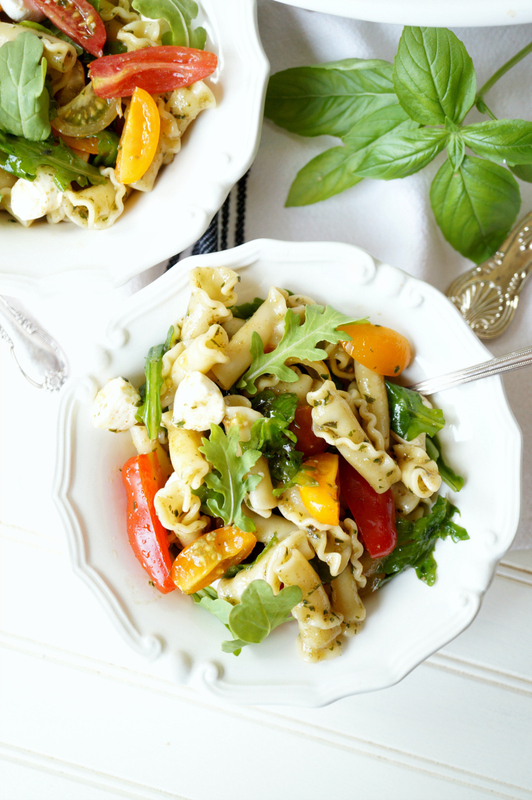 This Tomato & Mozzarella Pesto Pasta Salad is so simple and delicious, and seriously perfect for the hot weather. 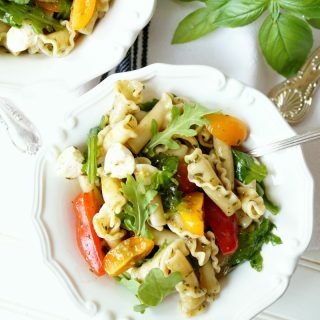 It combines noodles, fresh tomatoes, bites of mozzarella, and zesty arugula leaves with pesto for an irresistible dish. I brought it to a Fourth of July party earlier this month and everyone raved about it! Nobody has to know how easy it is to make when it tastes so good, right? Let’s go make it! 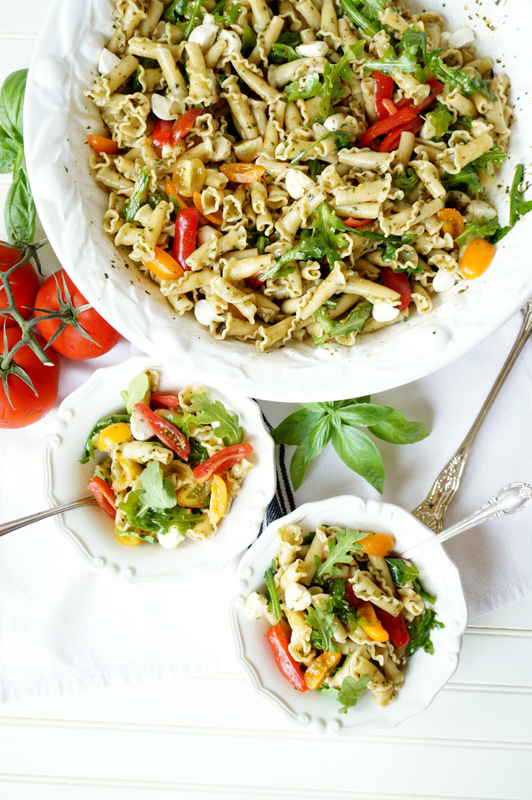 Looking for more easy pasta salad dishes? 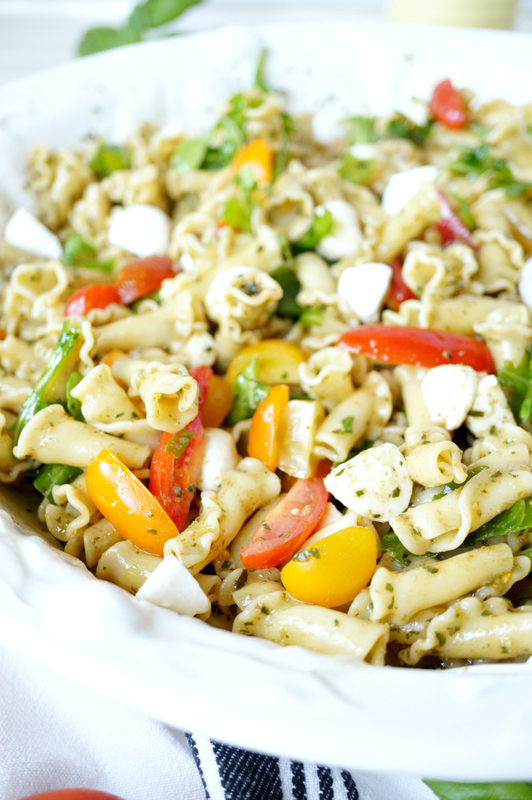 Check out my Simple Greek Pasta Salad, BLT Pasta Salad, and Caprese Pasta Salad! First, cook pasta according to package directions. While it cooks, cut your cherry tomatoes and your mini mozzarella balls into fourths. When pasta is ready, pour into a large bowl and toss with the pesto, adding the garlic powder and some of the extra olive oil if it's too thick. Add in the tomatoes, mozzarella, and arugula, and salt/pepper as needed. Serve immediately, or refrigerate until needed!